We have launched several exciting new features in our Point of Sale Software. Created a string of new videos, business tools and articles for the launch of our new Online University. Helped setup a new Salon in Limpopo and watched them do R70 000 business in only three weeks with three therapists. Travelled to Durban to teach at the Pro Beauty Network. Facilitated three Business Bootcamp’s for Spa and Salon Owners. Trained 40 students at Potch Academy on our CRM Software. So, how was your January? Was it profitable? Did you grow? In a post I put up on this blog in December, I said that everything you do or don’t do in December will determine what kind of January your business will have. I don’t know what kind of month you had, but I hope it was good. Whatever your month was like, it’s in the past and there are 11 months ahead of us that offer plenty of opportunity. Speaking of opportunity, Valentine’s Day is just around the corner and to assist you, I have placed one new ready-made weight loss ad and three new ready-made Valentine’s Day promotions up on the Member’s-Only website. Click here to login and get your hands on these resources. You can see previews of them below. 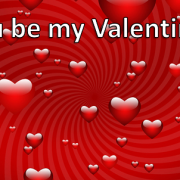 In other words, when you plan your Valentine’s Day Ad’s and special offers, do a little sales thinking and make sure that you don’t just plan the the ad, be sure to plan and prepare for the sales that will follow. Take a look at the special offer I have created below. It is a Nail, Mani and Pedi package that we created for Valentine’s Day in one of our ready-made marketing templates. At first you might think that the special offer is a discount, but it actually isn’t. Instead of discounting and lowering your prices, we teach our customers how to package services, increase prices and create more value and yet created the perception of huge savings. For more information on how to create irresistible specials offers, click here. R35 voucher for a friend to use on her first visit. When the average Salon Owner places an ad or a special offer like this, all they think about is the initial sale and the immediate money generated. However, smart Salon Owners know that with a little sales thinking and added preparation, the initial sale is the launching pad for creating huge cash flow. c. You can generate more revenue by upselling the client a Spa Manicure, hand treatment, cuticle treatment and even we can even rebook the client for her next Manicure. e. You can easily boost profit by introducing the client to more nail art options on her fingers and toes. f. Generate more revenue if you are prepared for your clients friend when she comes in to redeem the voucher. The voucher will initially cost you R35 but if you are prepared with ready made offers, your customers friend can become new long term client who will spend thousands at your Salon. So my point is simple – with a little sales thinking and advanced preparation, the sales behind the sale can make your Salon a pile of money. So the next time you create a special offer, think about how you can increase the frequency of customer visits, increase the size of their transaction, boost your profit margins and get them to refer their friends because making money this Valentine’s day is much easier than you think. We would love to hear from you. What specials and promotions are you running this month. Let us know, and don’t forget to tell us what you are doing to maximise the sale behind the sale.